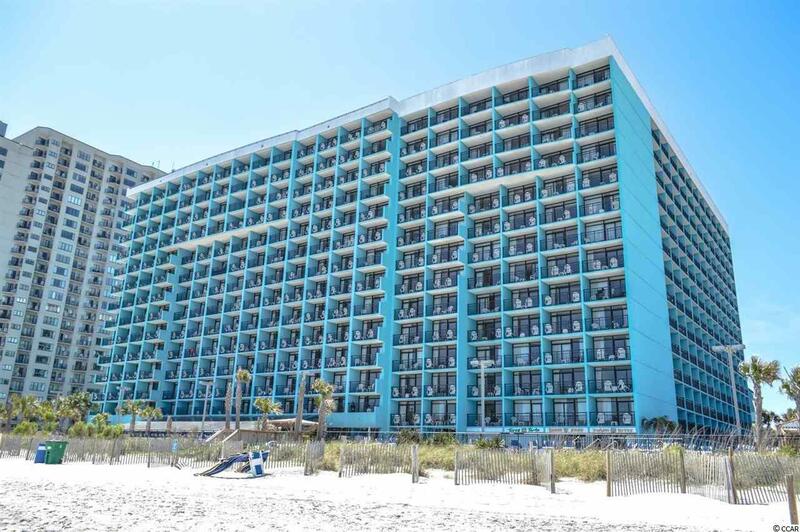 Take advantage of a rental machine in this efficiency oceanview unit at the popular Landmark Resort! NEW HVAC & recent upgrades done. Located at the corner of 15th Avenue S & Ocean Boulevard - close to Family Kingdom, the boardwalk, shopping, dining, & much more! Landmark Resort features amenities galore such as: large indoor and outdoor pools, lazy rivers, hot tubs, H2Oasis waterpark, 9 hole mini-putt golf course, gazebo restaurant, latitudes bar & grill, Havana Java bar, Sugar Shak, Seaside Pizzeria, & the Tipsy Turtle Pool Bar. 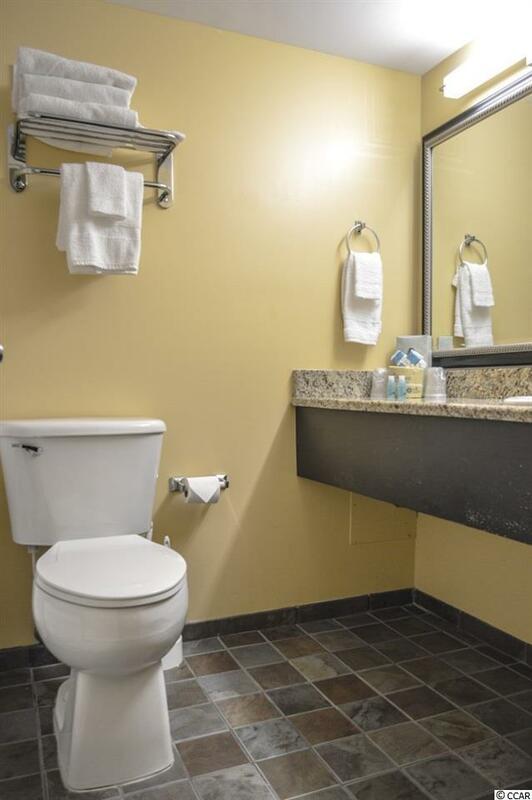 The amenities will not disappoint! 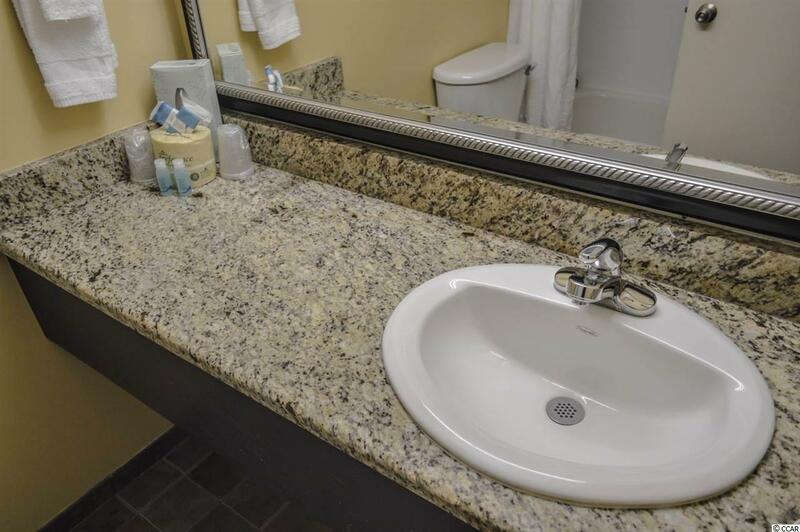 Walking through the front door of the unit you enter into a small foyer with two closets to the right and full bathroom to the left featuring a granite sink bowl vanity, ceramic tile flooring, and tub/shower. Kitchen features granite countertop, microwave, & mini-fridge. 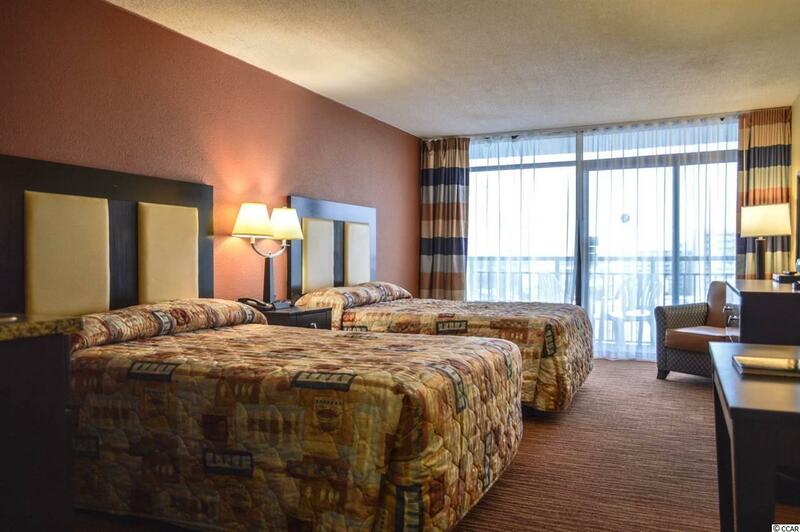 Main living area is equipped with two queen beds, dining nook, and entertainment stand with flat screen TV. Private balcony features amazing views of the ocean and scenic Myrtle Beach. Are you looking for a vacation spot that generates great rental income? Look no further! Don't miss your opportunity before it's too late - priced to sell and will not last long!